As we age, the inner layers of our skin lose elasticity, causing wrinkles and sun damage. Having acne, age spots, and hyperpigmentation can make you look older than you are. Fortunately, there are ways this can be improved with the help of Beverly Hills expert, Dr. Kami Parsa. 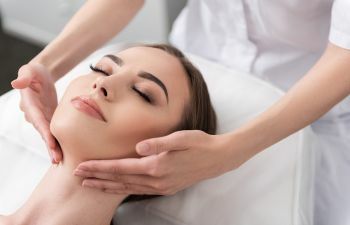 Chemical dermabrasion, also known as chemical peels, is a type of skin resurfacing which exfoliates your skin, as well as stimulate the growth of new cells and collagen. Results give you tighter, brighter skin. You’ll notice fewer lines and wrinkles, age spots, sun damage, scaring, discoloration, and even freckles will be less visible. There are different types of chemical peels available. What you can expect afterward and what your results will be, depends on the kind you have done. Redness of the skin, which can last anywhere from a few days to a couple of weeks. Swelling – especially around the eyes and lips, which can last around one week. Over the course of several days following your chemical dermabrasion, the outermost layer of your skin will flake off, revealing smoother, stronger, and less wrinkled skin. You may be given a care kit to take home, which you should use as directed to ensure your skin shows optimal results. It’s also very important that regardless of the temperature you stay protected from the sun by applying a sunscreen at a broad-spectrum (UVA and UVB) of SPF 30 or above. When you visit our Beverly Hills oculoplastic surgeon, Dr. Kami Parsa, we’ll examine your skin and determine which type of chemical peel is best for you. Don’t wait any longer. Give our expert a call today.